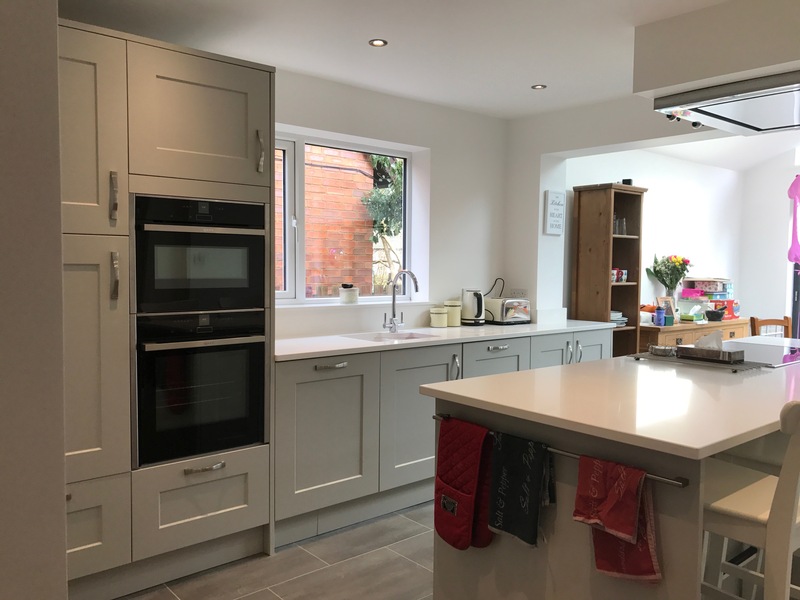 Angela & James came to Lima Kitchens looking for a kitchen company that could provide them with a practical family kitchen for their new extension. 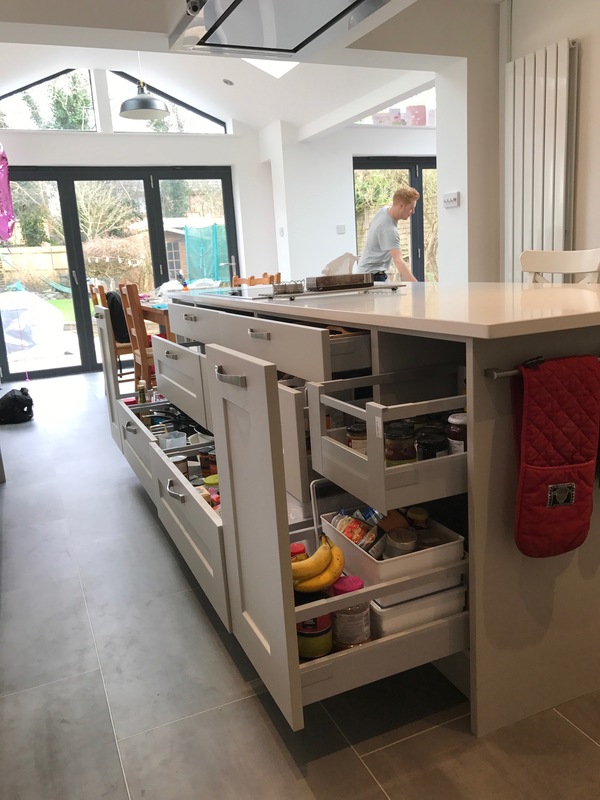 They hoped that this space would allow them to spend more time together as a family and stay connected as their children grow. 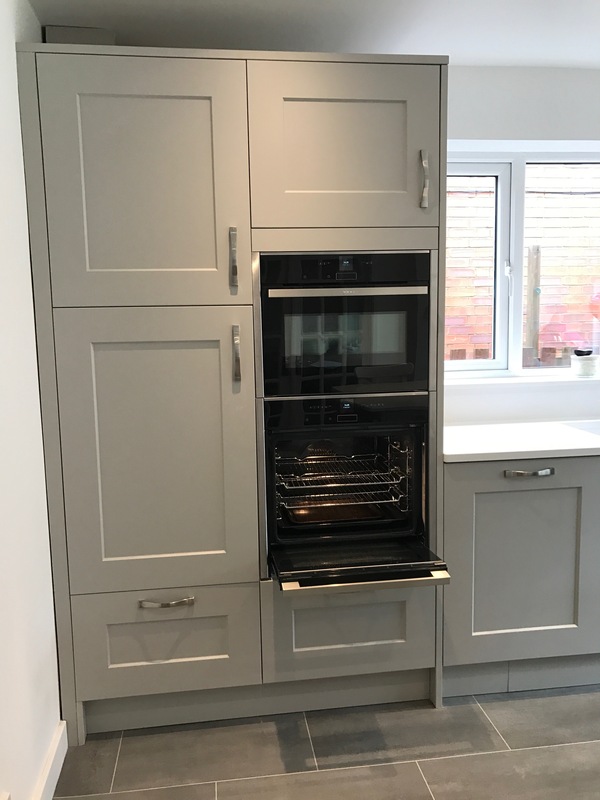 This Stowe kitchen provides exactly this to them, with its simple low maintenance lines and bright yet neutral tones. 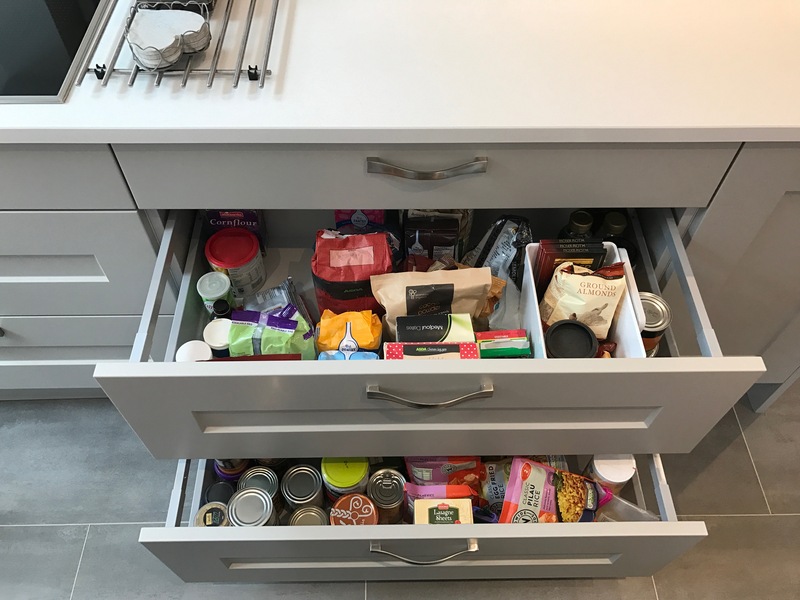 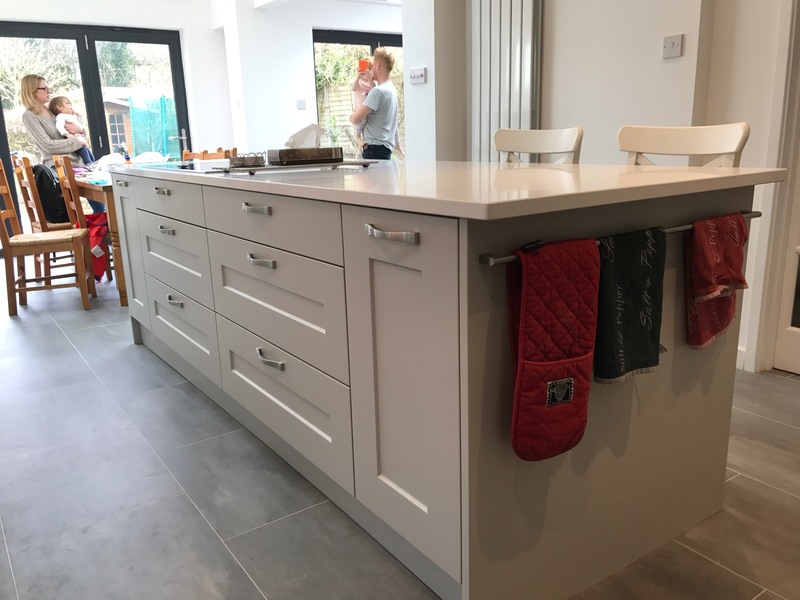 This kitchen is full of great storage which allows them to use as much of the internal space as possible, and with the right selection of Neff appliances they have been able to clear clutter from their sides. 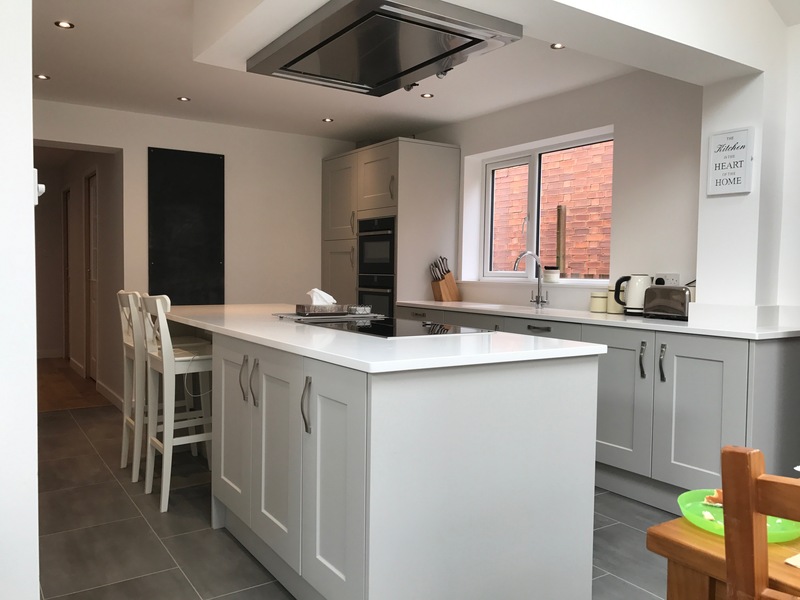 Includes: Kitchen, worktop, appliances on a supply only basis. 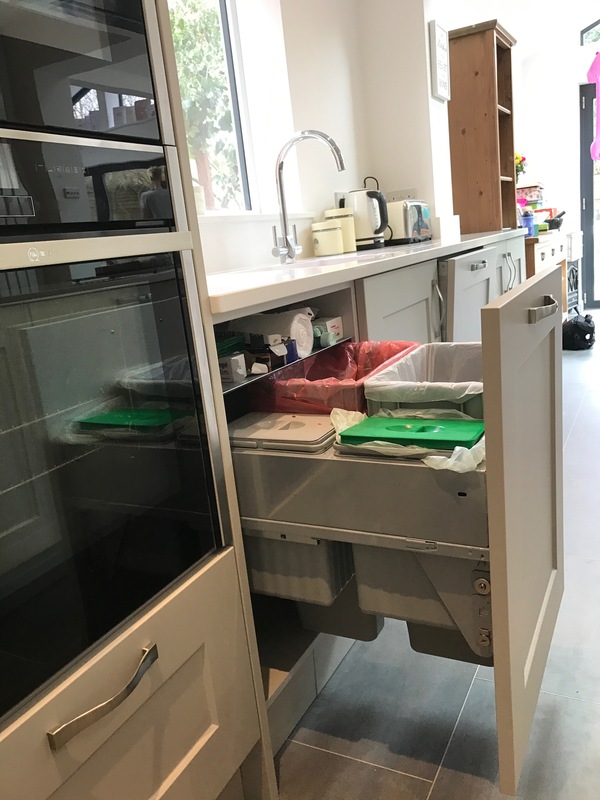 Keeping all appliances and refuse on the back wall of this kitchen Angela & James have been left with a great social workspace with everything they need to hand, right where they need it.